Let's slow it down just a bit. Got a lot of great feedback about the Foals cover and I'm glad that yall liked it as much as I did. It's the perfect pick up song. This one is the perfect mellow out jam. 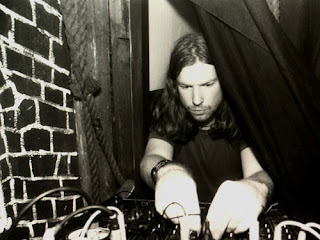 Clocking in at a second less than two minutes, "Avril 14th" by Aphex Twin will be instantly recognizable if you've listened at all to the new Kanye album (if you still don't have it, get it here for only $5). The sample used as the piano melody to the most complex, and possibly best, song on Kanye's album-"Blame Game," this short track fits a lot into it's 119 seconds while alternating between a cool confidence and deep nostalgia. It also makes you wonder how Kanye finds his samples. Drawing from an incredibly diverse range of artists and genres (you can find them all here) Kanye either has a fat crew listening to relatively obscure music, or has an insatiable thirst to listen to all that there is to listen to. While this jam isn't quite at the level of this song which Kanye sampled on Graduation, it still manages to immediately evoke the feelings of "Blame Game," while distancing itself from the turbulent emotions of that track. I've had it on repeat now for about 15 minutes, and each time I hear something new, each time something different catches my ear. Try it and tell me what you think.